This quilt was made as a wedding present in about 1910 for a couple near Llandysul, which is a small town in Ceredigion in South West Wales – unfortunately, there is no record of their names or the name of the maker. It is made of cotton sateen – deep pink on one side, and a rich gold on the other. 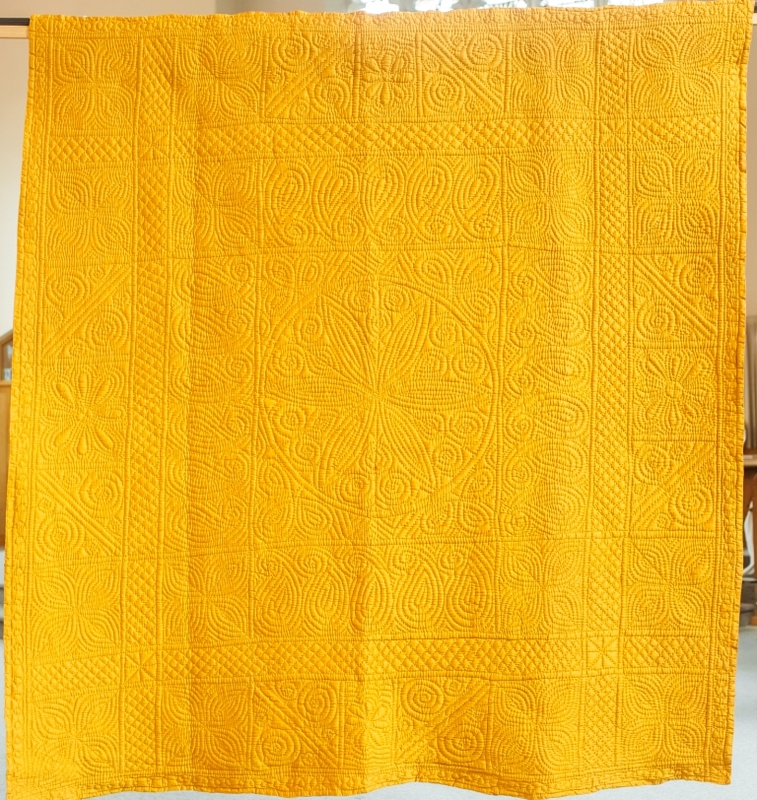 The layout is typical of Welsh quilts, with double lining separating the centre from a succession of borders. The centre circle contains a six-pointed flower with a leaf and double spiral motif filling in the spaces between the petals. The corners of the surrounding rectangle have a trefoil, and the remainder of the space is filled with nested zig-zags. The first border is made up of repeated paisley pear motifs; six on the longer sides, and five on the shorter sides. The tops of these are stitched in spirals. At each corner there is a different motif with four leaves. Cross-hatching fills the next narrower border. 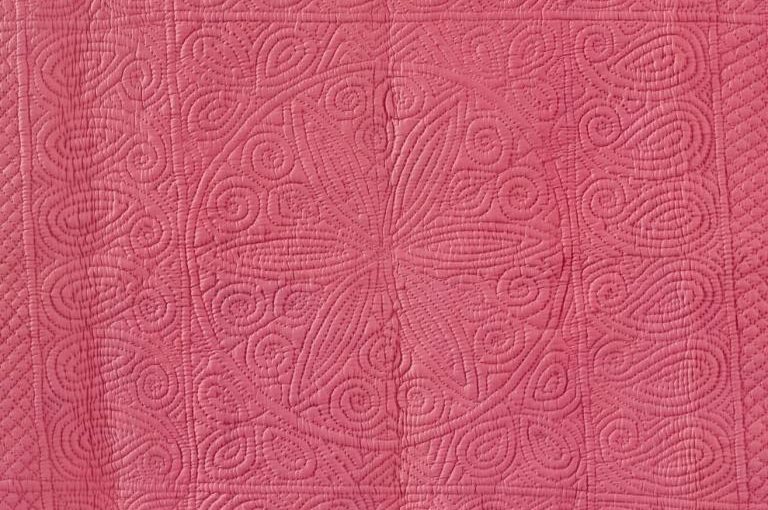 The use of a different motif within a lined square at the corner, such as roses, four-leaf or simple diagonal grids is a very common feature, particularly on Welsh quilts. 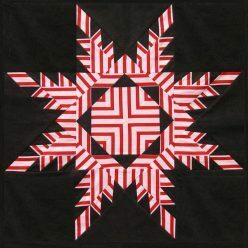 Their use can be a good way for less experienced quilters to avoid complicated planning. 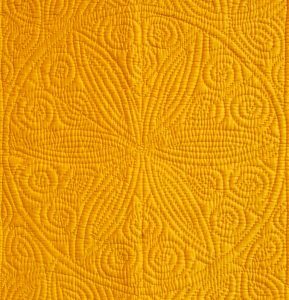 A final narrow border with a simple looped design completes the quilt before the final double line of hand-stitching around the edge. The quilt is filled with quite thick sheep’s wool. The springy quality of this makes the quilting stand out very clearly.